This is a full set of 4 surcharges in soft black reading 中華郵政 Chinese Post, 暫用 Temporary Use plus a surcharge. 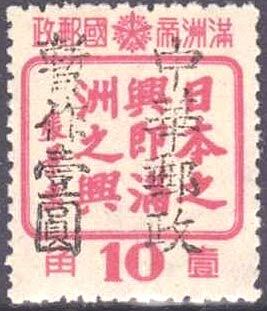 Chan lists this set as belonging to Bei Hsing Tsun (Kerr's Peh Hing Chen). This is a full set of 4 stamps. 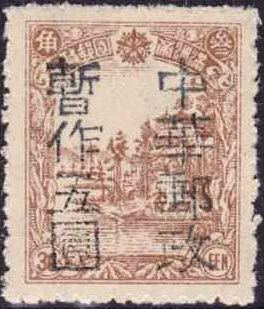 Chan lists this set as belonging to Bei Hsing Tsun (Kerr's Peh Hing Chen). My research shows that Chan is correct in this. 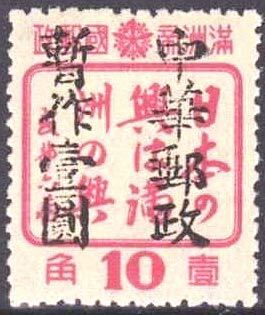 This is a set of five stamps with hard blue overprints. 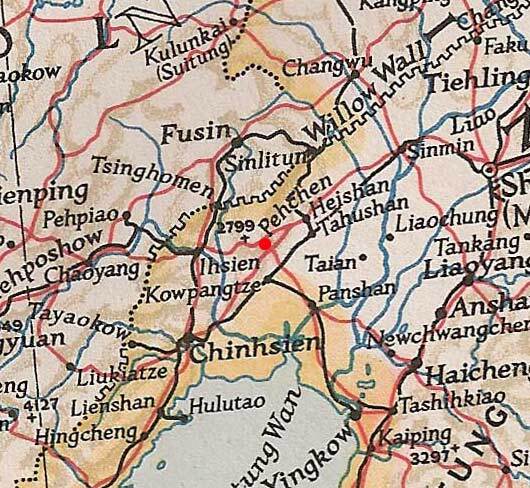 The line below 中華民國 Chinese Republic is the year date 35. 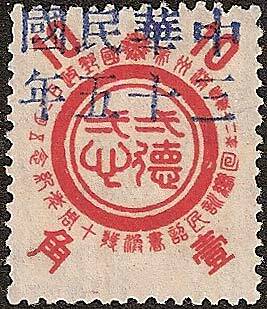 This red overprint on the 39f stamp is not listed in Chan or Kerr and is almost certainly bogus as it would have had no obvious postal use at this time, singly or in multiples.. 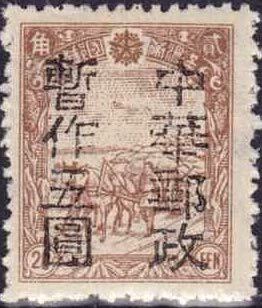 Examples of all overprints known for this village are shown above.